Leaders in Imaging: A Conversation with Pamela Wilcox - ONRAD, Inc.
AuntMinnie | AuntMinnie.com is pleased to present the next installment of Leaders in Imaging, a series of interviews with individuals who are shaping the radiology landscape. We spoke with Pamela Wilcox, RN, MA, the American College of Radiology’s assistant executive director for quality and safety.  The ACR is one of the three organizations tapped by the U.S. Centers for Medicare and Medicaid Services (CMS) to accredit imaging facilities under the Medicare Improvements for Patients and Providers Act (MIPPA) of 2008. AuntMinnie: What prompted the accreditation provisions found in MIPPA? Pamela Wilcox, RN, MA, the American College of Radiology’s assistant executive director for quality and safety. Wilcox: The government was getting concerned about overutilization of imaging. The ACR and others suggested accreditation as a method to reduce inappropriate imaging. We knew from our experience with mammography that when the Mammography Quality Standards Act (MQSA) went into effect, about a thousand providers decided they wouldn’t be able to meet the criteria for accreditation and dropped off. It seemed that a wider implementation of accreditation standards would address the imaging problem as well. What is ACR’s accreditation process? How long does it take? Our application process is electronic. Facilities can go to our website and submit demographic, equipment, and personnel information. We then send them a testing package, and they gather and submit various clinical exams depending on modality — in the case of CT, they provide dose measurements — as well as phantom images. Right now the image submission is by film or CD — we’re moving to digital early next year but we’re not quite there yet. A facility’s clinical images are reviewed by radiologists from around country, all of whom are in active practice, and the phantoms are reviewed by medical physicists. Once these audits have been performed and pass our criteria, we let the facility know that it has been accredited. From the time a facility submits its application, the accreditation process takes six months; from the time it submits its images, less than 90 days. What advice would you give to facilities that haven’t yet started the accreditation process? We’ve told folks that the latest they should start the process to get accredited by January was July 1. If people haven’t gotten started by now, they’re putting their reimbursement at risk, because if a facility isn’t accredited by January, it won’t get paid for its imaging. Particularly for in-office imaging groups: Are they going to be able to do all they need to do to meet the criteria? That’s part of the reason for the accreditation process, to weed out facilities that are practicing imaging without adequately trained personnel, image quality, and quality control. Is there legislation being developed to instate a grace period so that a facility would have a bit of time after January to finish the process? We’ve heard of efforts out there to get traction on Capitol Hill for this, but we’re not involved at this time. And this kind of legislation would apply to brand new sites. We have lobbied CMS since it first issued the regulations about MIPPA to provide a grace period for, say, already-accredited sites that open a new location. CMS has indicated in a transmission that facilities in this situation will be eligible for four months of reimbursement — it’s not the whole six [that it takes to get accredited], but it’s something. This four-month reimbursement period will also apply to practices accredited in CT and MR that decide they want to provide nuclear medicine services as well. As for facilities that want to add a new scanner at an existing site, they are required to submit the same clinical and phantom data, but it’s not as if they’d be starting from scratch. However, this will not apply to brand new sites that are not part of a practice that already has accredited sites. Why has there been so much procrastination around this? It’s human nature to wait until the last minute. Everyone’s busy and overcommitted to begin with, and the accreditation process seems daunting. But the number of applications we’re getting has been up for months now. We’ve spent a year or more trying to tell people what they need to do. We’re committed to do everything we can to get facilities through [the accreditation process] as quickly as possible, and we have adequate staff. In fact, we’ll probably be here working on December 31 so that folks can get reimbursed.